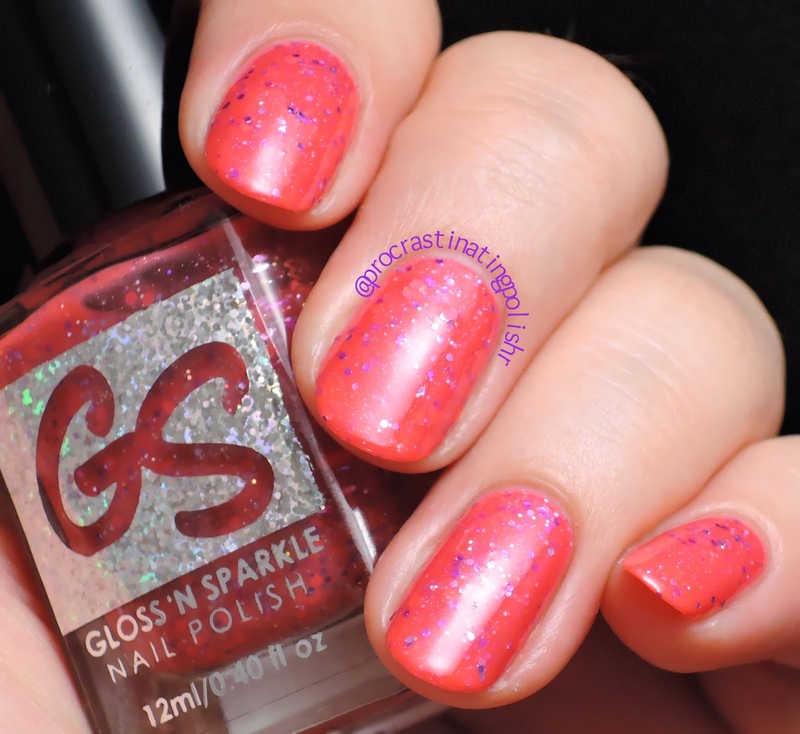 I've been swatching and wearing a whole lot of my untried indies this month and these two from Gloss n Sparkle definitely needed some blog love. Both are from Part I of the Hail to The King collection - 8 polishes and 3 nail care items inspired by the books of Stephen King. 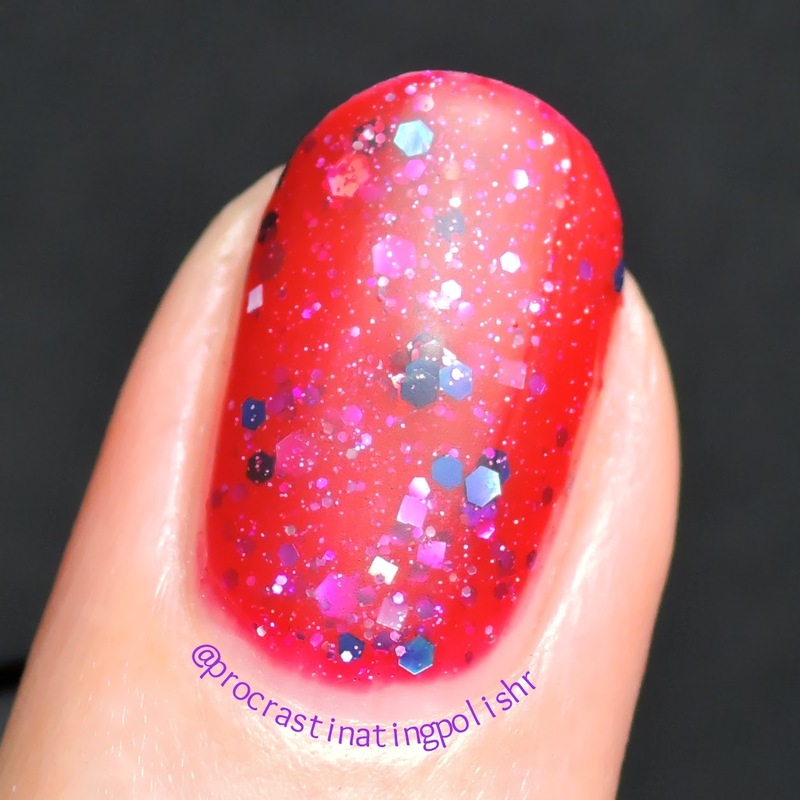 Rose Madder is a gorgeously juicy berry red jelly with a mixture of pink, blue, purple and silver glitters that are so shiny you'd swear they were flashing lights. 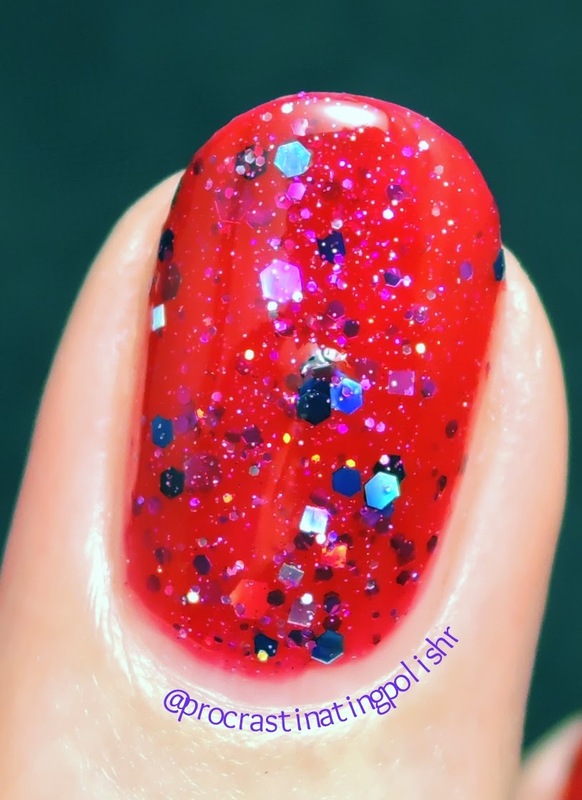 This polish was an absolute dream to apply, the glitter spreads easily across the nail and the formula is perfection. I finished my swatch with a coat of fast dry top coat The Shining, one of the nail care items from the same collection. For a polish like this that only needs 2-3 thin coats and isn't very glitter hungry it was the perfect match, giving a glossy refined finish. But as I've recently learned - must matte all the jellies! UNF. I wanna eat it with a spoon. I am finding myself wanting to reach out and stroke the image on my screen but that's potentially leading me down a strange path. Let's move on then! I say it all the time, but I'm just not a pink girl. I say it, then I wear something pink and I go "ooooohh pretty!!" and forget I ever had an opinion on the matter. 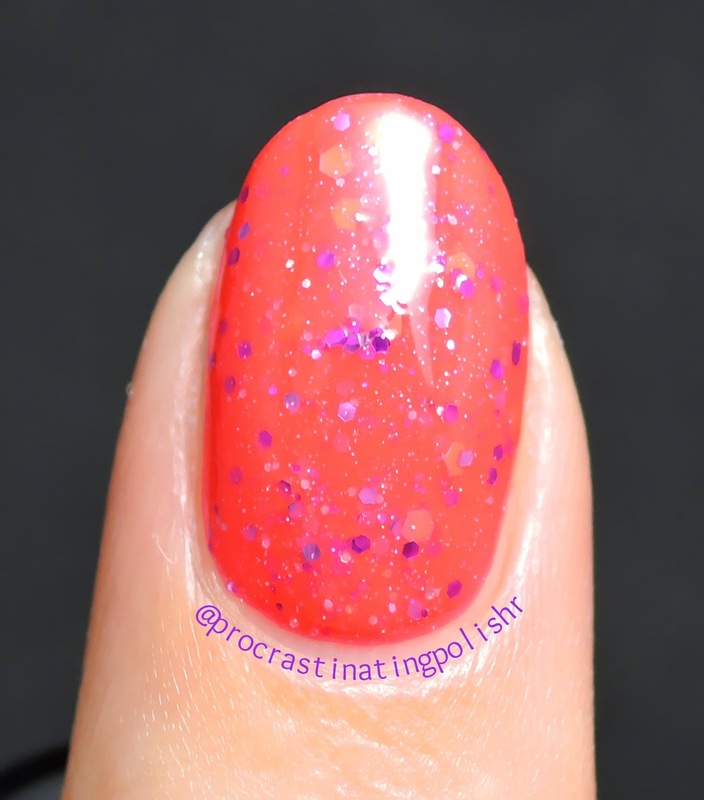 Because I have it in my head that I'm not a pink girl I don't buy a lot of pink polish, but the swatches I'd seen of A Face In The Crowd showed it leaning very coral so I thought I'd give it a shot. 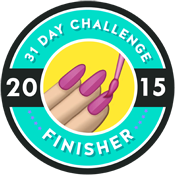 To my surprise when I got it on my nails it was almost neon, and very much a pinkish coral. But of course, my reaction was "oooooohhh pretty!!" and to gaze lovingly at my hands. Along with the obvious glitters in pink, purple and silver there is also a subtle iridescent sparkle that was hard to capture. It was also difficult to capture the colour accurately given the vivid glow, the full mani shot is closer to real life than the closeup. 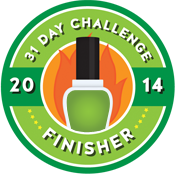 This was another bang on formula, no dragging and easy application with the bonus of only needing two coats. I'm really impressed with both of these and I do need to go back and buy some more - not only is there the rest of this collection, but there is a Part II with another NINE polishes. So many options! 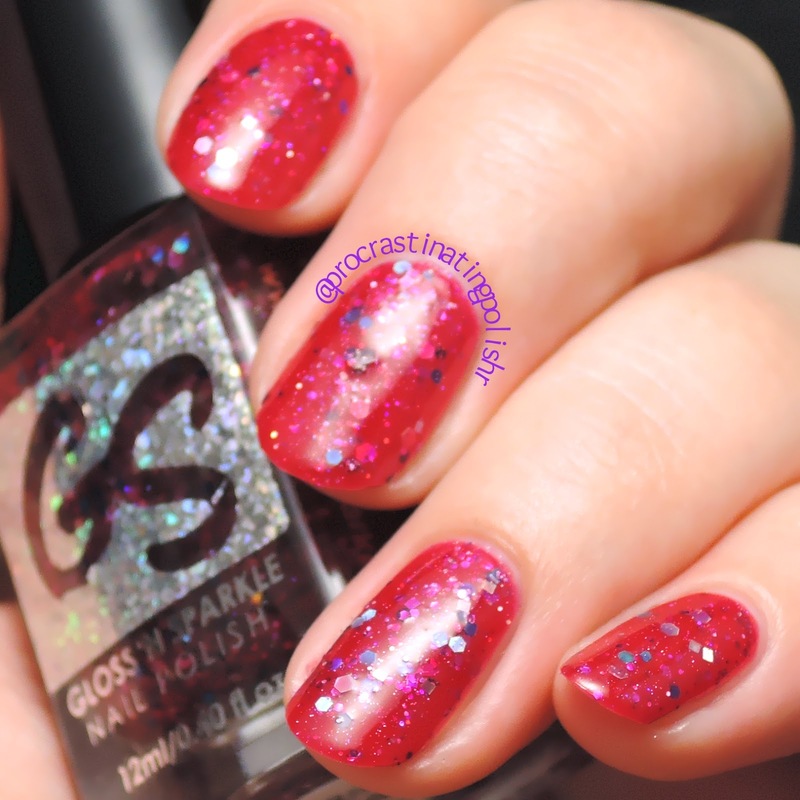 You can shop both collections on the Gloss n Sparkle website, or via one of their international distributors.